A warm welcome to my newest follower "Crafting Andy". Thanks for joining us! 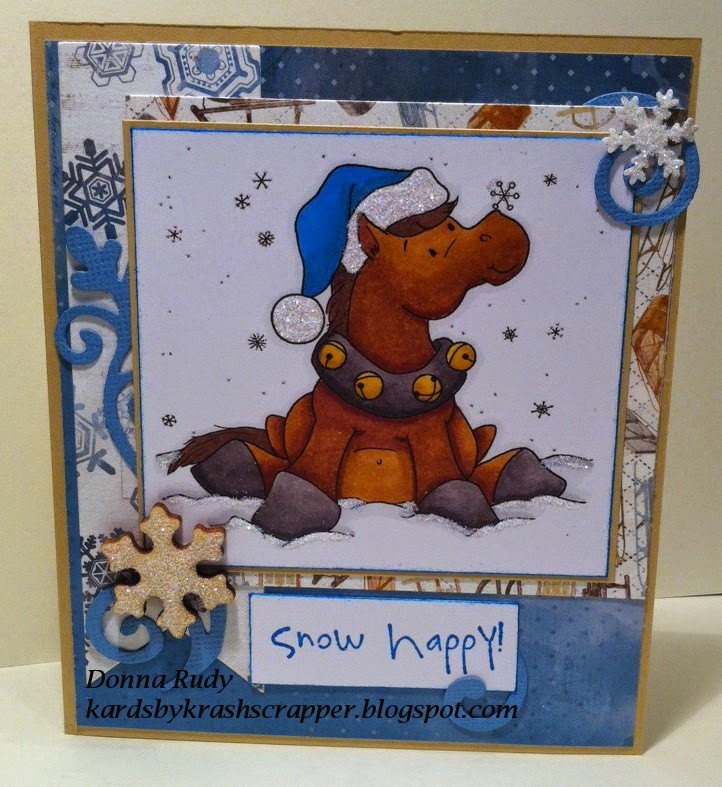 Just wanted to share another card I made today using a Crissy's Digi's stamp from Whimsy Stamps artist Crissy Armstrong. This guy is so much fun and makes me smile! I can see quite a few Christmas cards using this happy guy in my future. Thanks for stopping by. Thoughts and comments appreciated.